Finest Legal and Professional Stationery Available Designed To Your Specifications Whether Engraved, Thermographed, Raised or Printed! Call Customer Service For Current Special Offering on Custom Printing! First Impression Counts! Custom Business Cards in a complete range of price points and assortments! Custom printed, standard imprint and plan Legal and Manuscript Covers! Improve your firm's image and effectiveness! Complete Selection of Pleading Paper for every practice! Presentation Folders provide excellent marketing material for your practice! Custom Stationery in range of Quality Standards and Price Points. Best Value Offering on Premium Stationery Packages including Engraved & Thermographed Letterhead, Envelopes & Business Cards! Custom printed, standard imprint and plain will Kits, Covers and Envelopes! Special Promotion of Law Office Supplies! A lasting impression starts with high-quality custom business cards and stationery. A high quality business card sets you and your firm apart from the competitors, while positioning you as a professional of a consistent and stable firm. 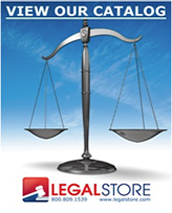 Legalstore.com offers high quality law office stationery, engraved or printed, attorney letterhead, attorney business cards, attorney envelopes, notepads and announcements. Quick turnaround, award winning customer service, exceptional pricing. Available in Blue, Gray, White and Ivory. 9" x 12.5", 1" score on top. Choose 8.5" width for laser printers. Imprinted with firm name in black ink. 100 per box. Letter Size Manuscript Covers, Choice of Blue Wove, Ivory Linen, Gray Linen, White Linen Stock. Choose standard size 9" width or 8.5" for use in your laser printer. 70# text weight. 100 per box. Firm name imprinted with flat ink.